In what appears to be China’s biggest-ever pangolin smuggling case, customs officials seized 3.1 tons of pangolin scales worth more than $2 million on the black market. Back in 2015, authorities in China busted a pangolin smuggling ring, confiscating 2,674 carcasses of the endangered species. But this latest seizure, in which pangolin scales were mixed in with a container of wood products shipped in from Nigeria, is estimated to have involved around 7,500 pangolins. It’s the biggest seizure of its kind, and a worrying sign that Chinese officials aren’t doing enough to prevent the illegal trafficking of these vulnerable animals. 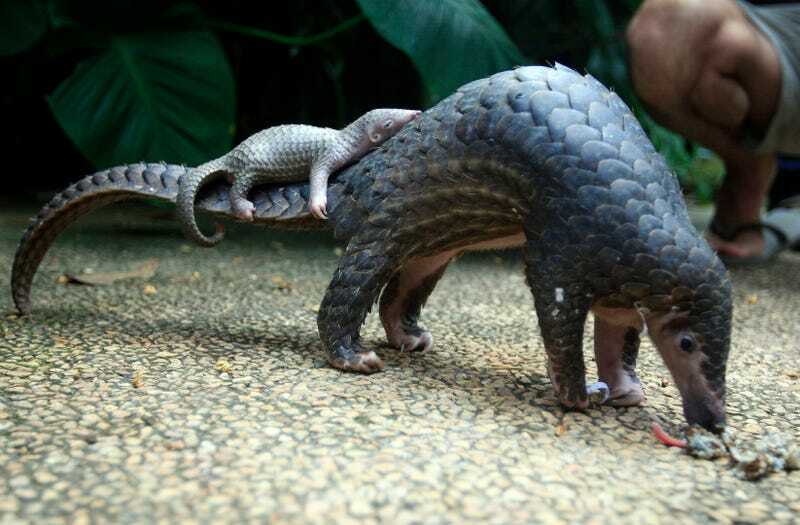 The pangolin, a scaly mammal that resembles an artichoke, is the most trafficked animal on Earth, and prized for its use in traditional medicine. Fact is, pangolin scales are made from keratin, which is basically the same substance that makes up fingernails. Its therapeutic value is highly questioned, and there’s no science to back such claims. Market value for pangolin parts is about 5,000 yuan ($700) per kilogram, or $1540 per pound (pangolins are also considered a delicacy, so its flesh is also in demand). The recent haul was valued at about $2 million. Shanghai customs arrested three individuals suspected of smuggling scales to Asia from Africa since 2015. The trading of pangolin parts is illegal in China (and pretty much everywhere else), and the animal is listed as a protected species. Critics complain that law enforcement remains weak, and that authorities, both in and out of China, aren’t doing enough to break up smuggling rings.